The idea behind the 160 characters that an sms message can contain came from the German Friedhelm Hillebrand. In 1984 he discovered, sitting behind his typewriter writing sentences, that 160 characters are sufficient for nearly every sentence. One year later, Matti Makkonen invented the sms text message over a pizza during an telecom conference. Neil Papworth, a developer at Sema Group Telecoms would send the first ever text message in December 1992, to Richard Jarvis at Vodafone whishing him a Merry Christmas. Papworth couldn’t send it through his phone because of the lack of keyboards. His PC brought the solution. Jarvis wasn’t able to answer due to the very same problem Papworth had. One year later Nokia debuted its first mobile phone equipped with sms functionality. Texting was done using a numerical keypad, but were free from charge between to people having the same operator. After text messaging started working cross-networks in 1999, the messaging service explodes in popularity in 2002. That year 250 billion text messages are sent. As every generation needs a technology, sms text messaging was seen as a triumph. After the year 2000 the marketing industry realised that people who were able to receive sms in person-to-person messaging could also receive marketing based messages. A2P messaging – application-to-person - was born. 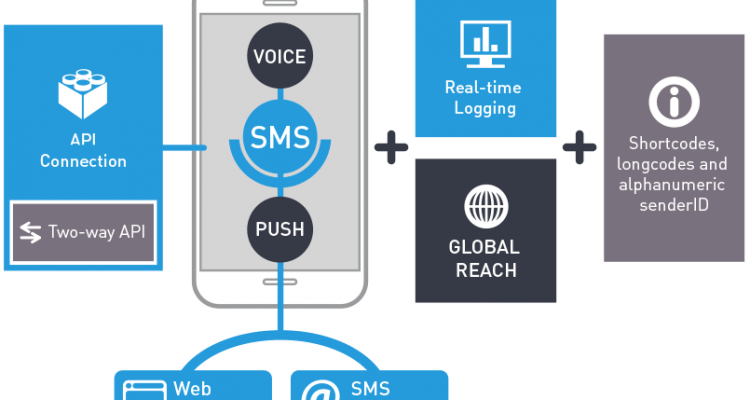 Nowadays, these sms services are widely used for work, advertising, location-based promotions and emergency alerts. Sms has grown from person-to-person chat functionality to a tool that is used to pay taxes in the Philippines, to educate farmers in African countries, remind blood donors in the Netherlands and Sweden to a popular and interactive voting tool during The Voice of Holland or Big Brother. Although WeChat, Line, WhatsApp and other popular chat apps have taken the number 1 position from sms, the Short Message Service is still used and praised for it ubiquitousness: practically every handset in the world is capable of receiving sms messages. Corporations and service providers saw great revenues coming from sms. A reasonably large number of service providers and telecom operators hijacked the legal way business around mobile messaging. Some malicious companies started offering free or low cost ring tones. By accepting such an offer mobile users would find themselves stuck to an endless stream of sms messages costing them serious money. Later, new rules put up by regulators and the industry itself halted the misbehaviour. Despite a minor stream of spam messages still being sent, mobile phone owners have learned to recognise and delete spam and fraudulent messages. Operators and mobile service providers nowadays work closely in fighting malicious messages like spam and spoofing. Almost every industry over time learned the benefits of reaching out to customers safe and simple through sms. The tool proves to be valuable in an increasing competitive world that turns digital. Sms and mobile messaging got more popular when prices of mobile phones lowered. Although sms is still more expensive than for instance push notifications, the investments to setup communications through push messaging (it requires a mobile app) might still equal the costs of sms messages. Next to that there’s the risk you still don’t reach everyone you want to reach, because not everyone has the app or a smartphone. Although some authorities and organisations think sms is on the edge of extinction, mainly because of OTT player like WhatsApp, Viber, Telegram and more chat apps, others say the sms messaging is here to stay for another 22 years and will be profitable for many years to come. According to PortioResearch, OTT and sms have been designed to work in a tandem with one another.